For years dog trainer Michael Wombacher has worked with expecting dog owners to prevent problems between dogs and children. He has also unfortunately witnessed too many families forced to surrender their beloved family companions because they failed to prepare the dog for the arrival of a new family member. 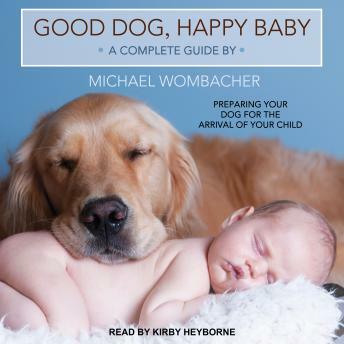 In Good Dog, Happy Baby, Wombacher lays out a twelve-step process that will give families the skills they need to navigate this new era of their lives. These skills include how to evaluate dogs, resolve common behavior problems, and fully prepare dogs for a new baby. This easy-to-use guide, filled with simple instructions, makes a great gift for any expecting family with a dog, whether the dog is perfectly trained or in serious need of behavioral help.